This work describes the relationship society – nature based study of the reality of people in the interior and surroundings, as well as the expropriated of the Parque Nacional da Amazônia in Itaituba - PA. The analysis focuses on the study of the uses and land ownership, from the territorial formation of residents. For the development of such an approach, was taken as the geographical reference preservationist ideals of protected areas, especially the question of national parks, as well as the understanding of territoriality and conflict arising from the creation of the park. We tried to also understand the implications imposed by the agrarian and environmental, with a view to considering the reality of the Parque Nacional da Amazônia in social relations existing in their circuits and scales relations to identify and characterize the impacts and consequences of its implementation. 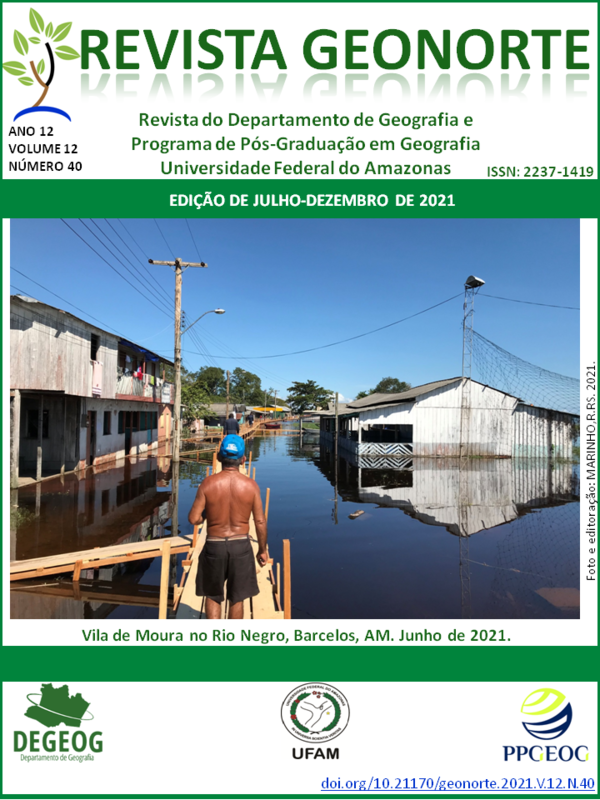 A Revista Geonorte está recebendo artigos para avaliação, caso sejam aceitos pelo conselho científico, serão publicados na edição 2018/2 em dezembro de 2018.